The elder brother of Mrs. Uchenna Precious Onwuamadike, wife of the dreaded kidnap kingpin, Mr. Chidumeme Onwuamadike, a.k.a Evans, Mr. Chukwuemeka Okoye said yesterday that his sister has not visited her village at Awo Oraifite in Ekwusigo Local Government Area of Anambra State since she got married in 2006. 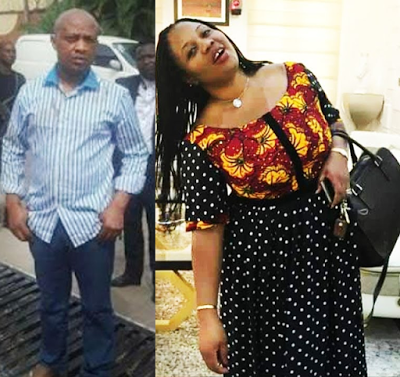 He told Vanguard yesterday that even when their father died in 2014, Uchenna, who is the last of 13 children of the Okoyes, and her husband, Evans, did not attend the burial . He said that he has not been communicating with his sister even on telephone, adding that he does not even know that she is married with five children. When shown the photograph of his sister and her five children, Chukwuemeka, a farmer and a daily paid job man at Oraifite market said he would not be able to identify his brother in-law, Evans, if they meet. Evans wife, Uchenna. “Our father was very sick when Uchenna got married and he was bedridden for eight years before he died in 2014. It was her father in-law that came for the burial. Once she got married, nobody heard from her again and sometimes we heard that she was living abroad. He said that despite the poverty in his family, Uchenna and her husband never cared and said that he had not even heard that his sister’s husband was a kidnapper. Their aged mother, who is said to be diabetic, is presently staying with one of his brothers in the North and has been away for over one year. Uchenna’s cousin, a Reverend of the Anglican Church, who preferred anonymity said they did not know much about Uchenna because she was not communicating with the family, adding that he only knew about their present situation from the internet.